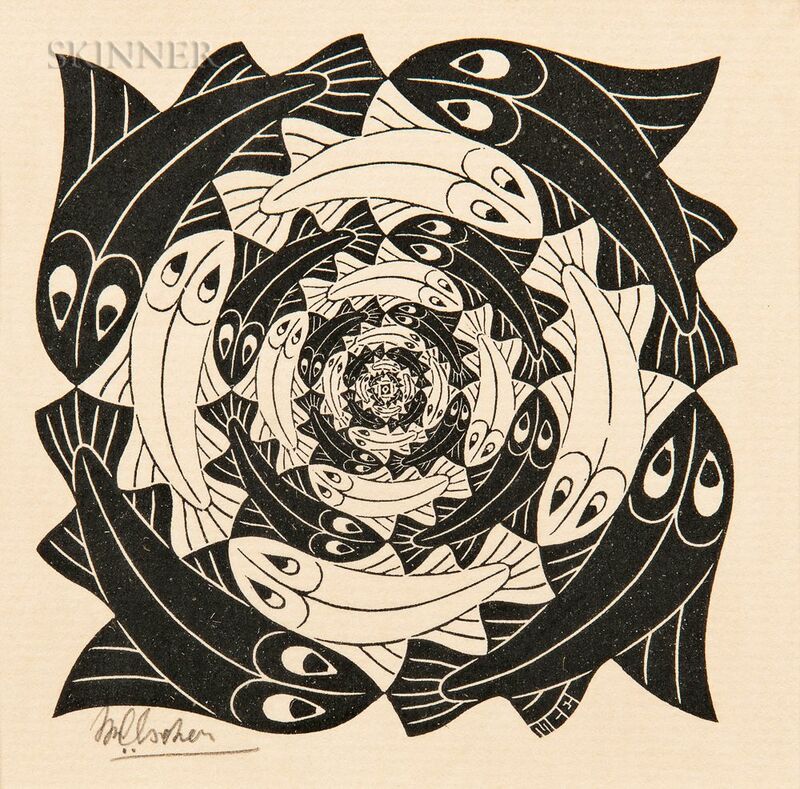 Fish, Vignette, 1956 (Bool et al., 414). 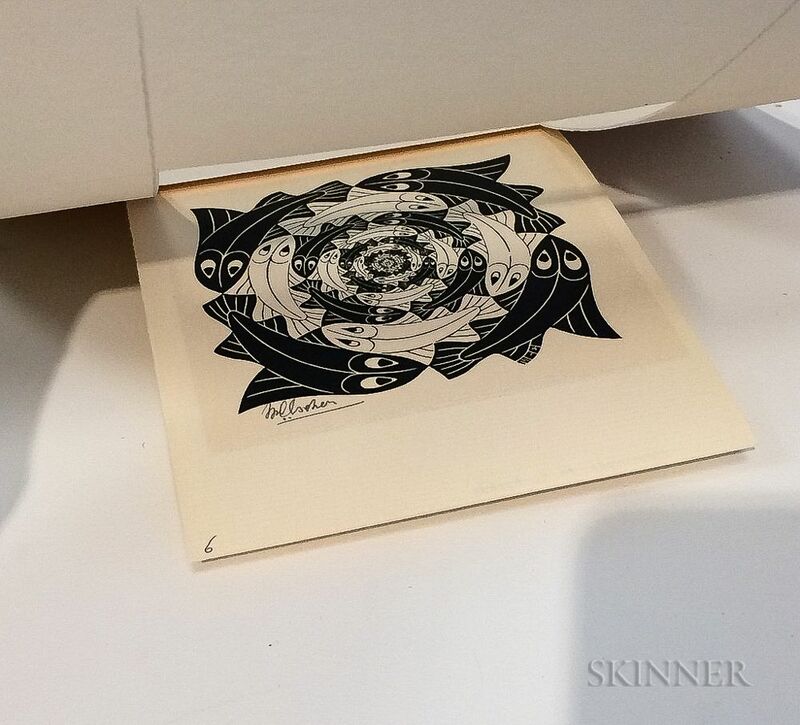 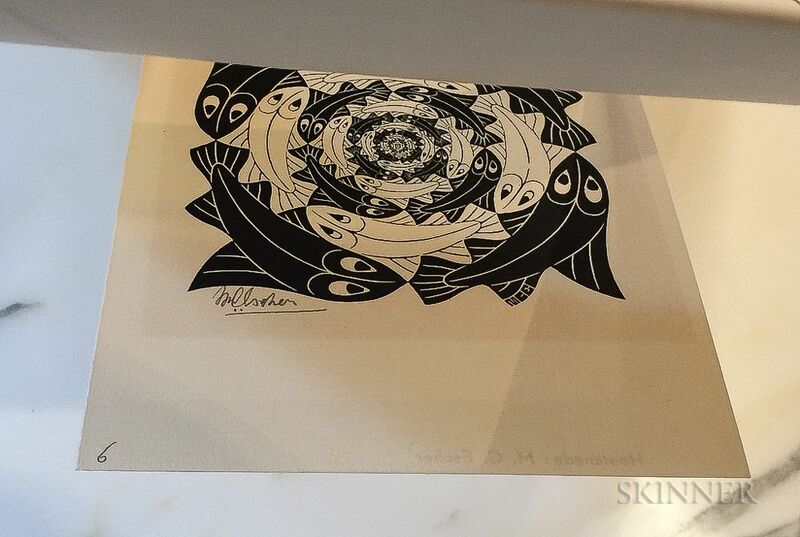 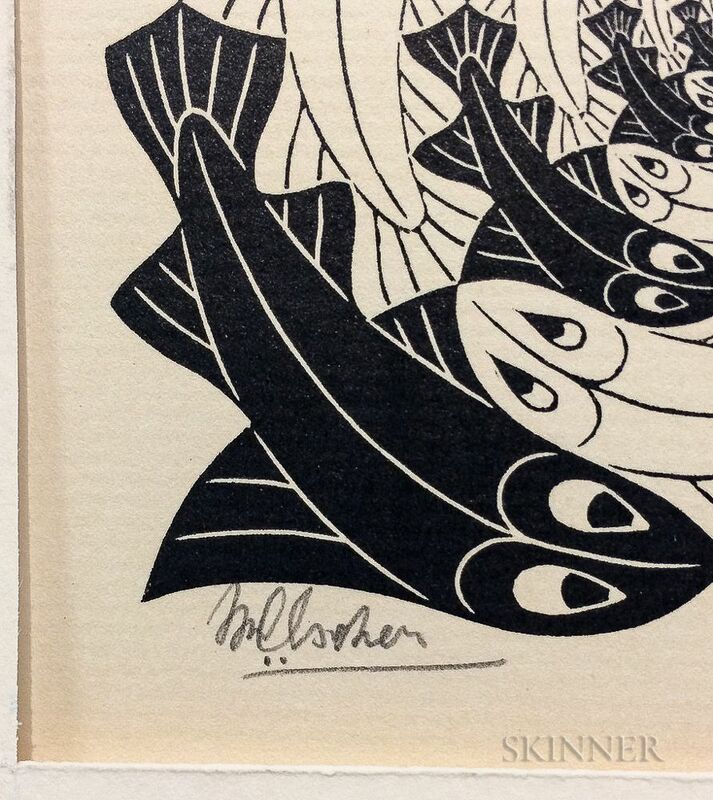 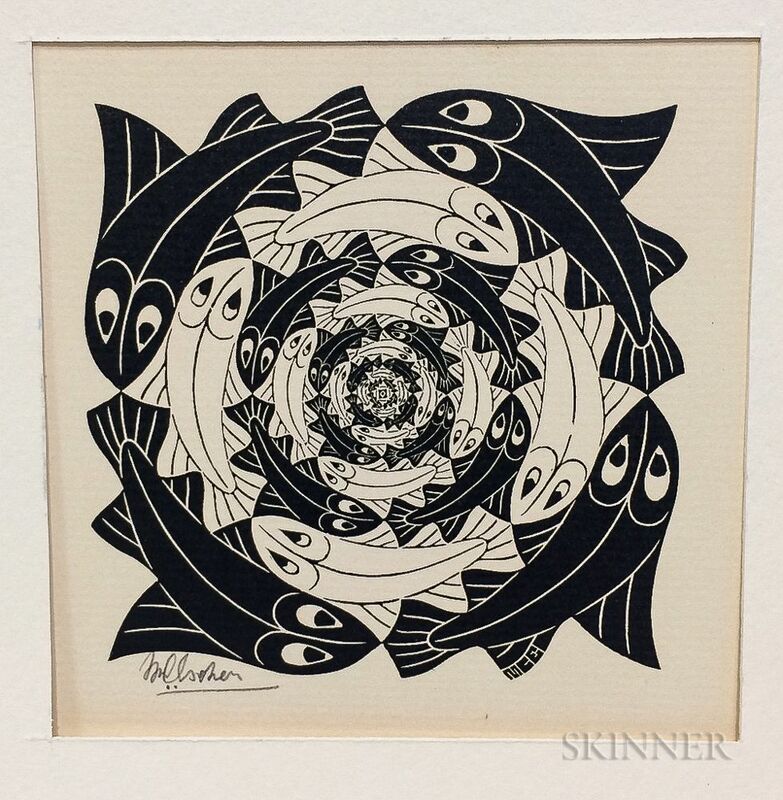 Signed "MCEscher" in pencil l.l., initialed within the block. 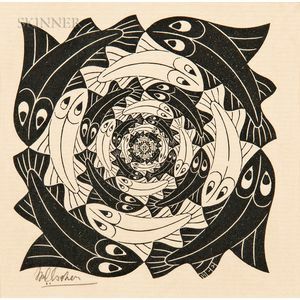 Woodcut on paper, image size 3 1/4 x 3 1/4 in. 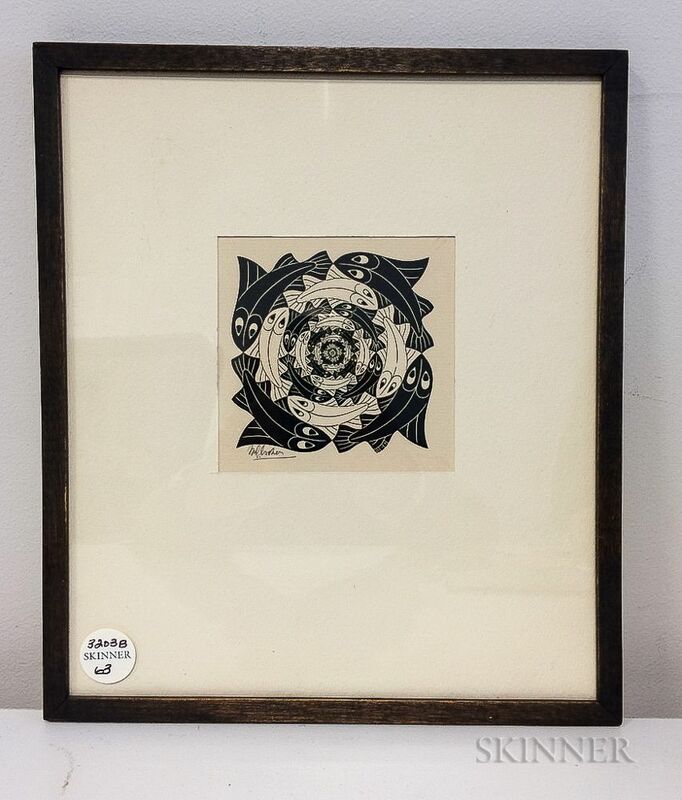 (8.1 x 8.1 cm), framed. 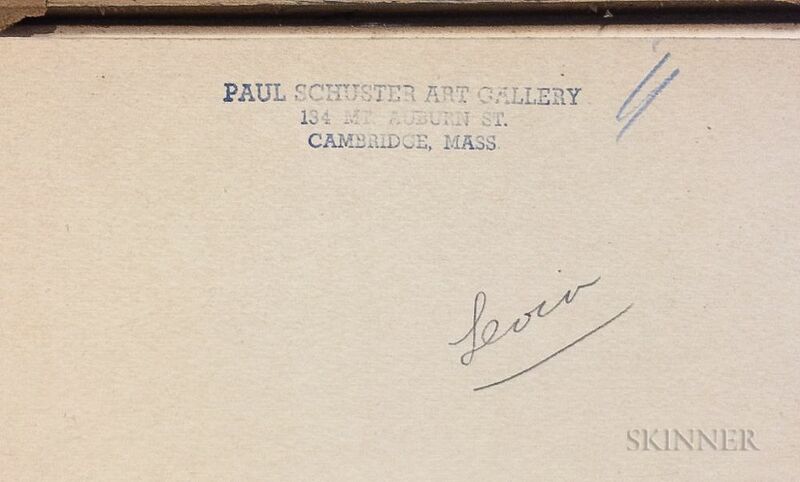 Stamp from Paul Schuster Art Gallery, Cambridge, Massachusetts, on the frame backing paper and on an interior backing sheet. 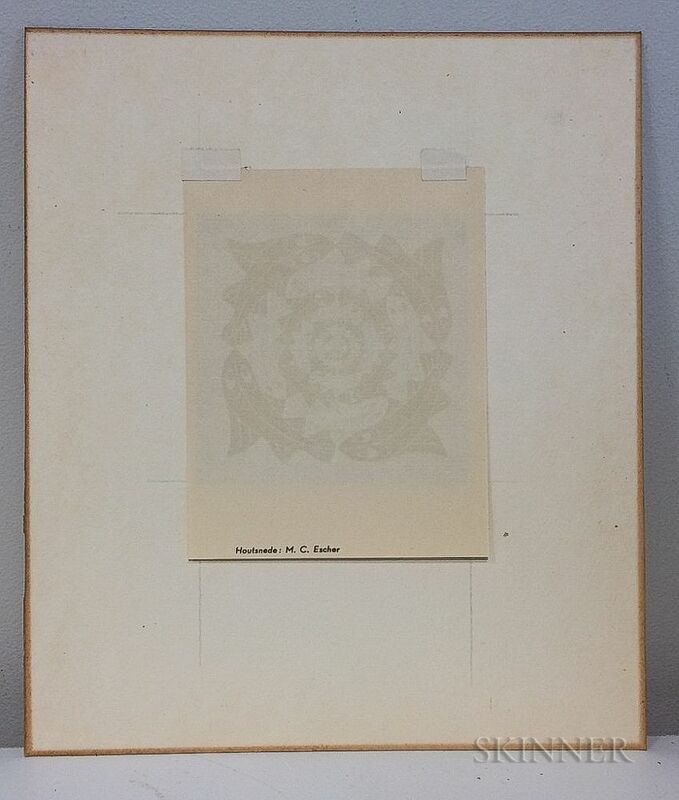 Sheet size is 5 5/16 x 4 1/8 in. 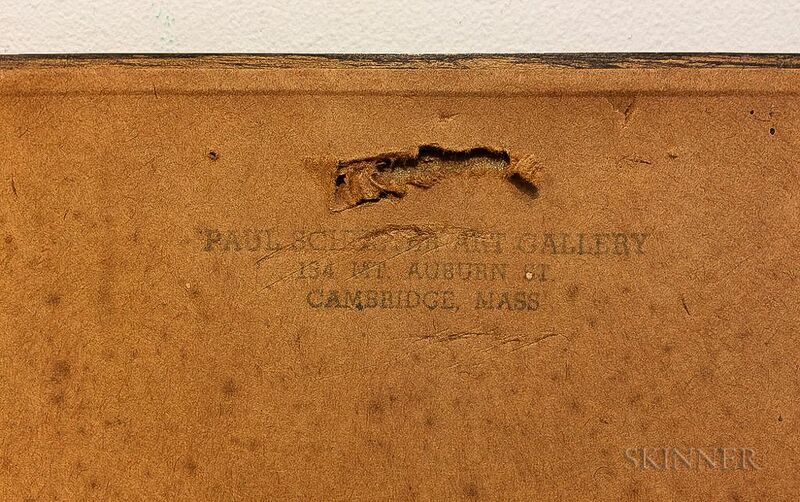 (13.5 x 10.5 cm), laid paper. 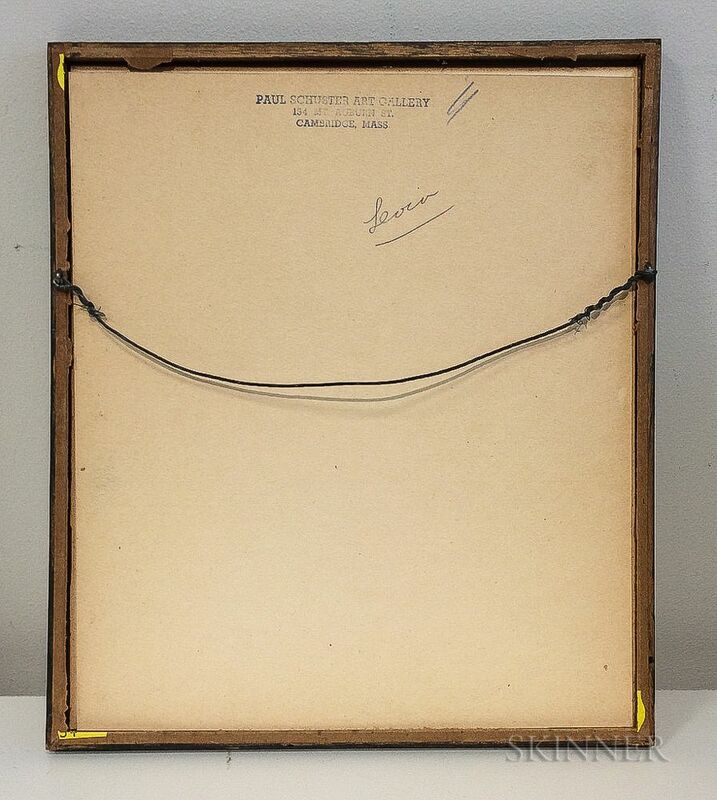 Signed in pencil as described, also numbered "6" in pencil in the l.l. corner of the recto. 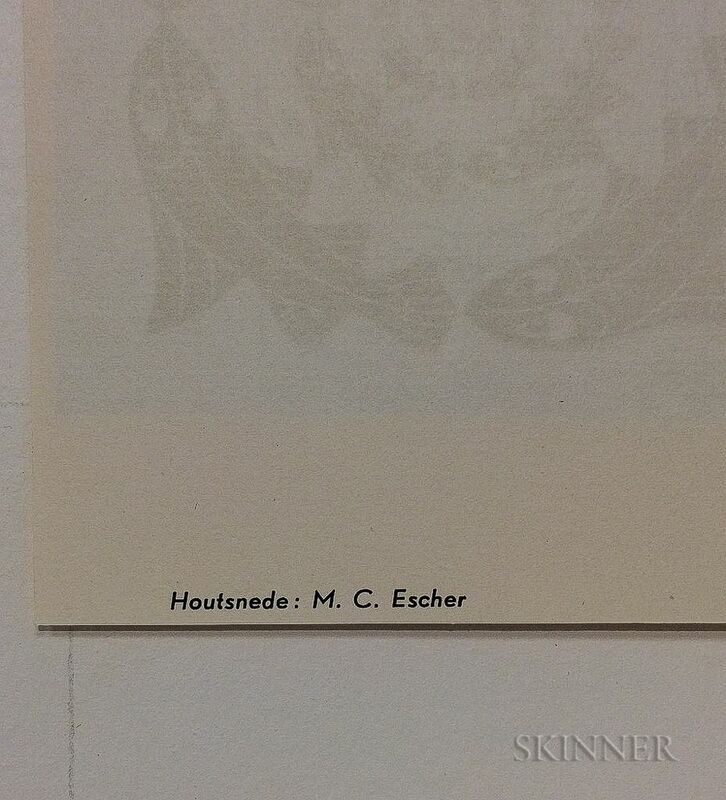 Imprinted "Houtsnede : M. C. Escher" on the lower edge of the verso. 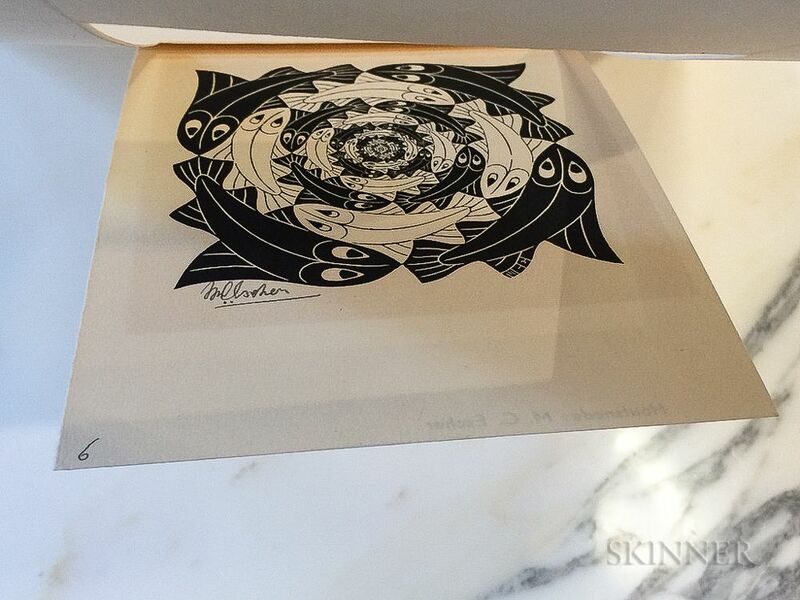 Minor toning and gently light struck. 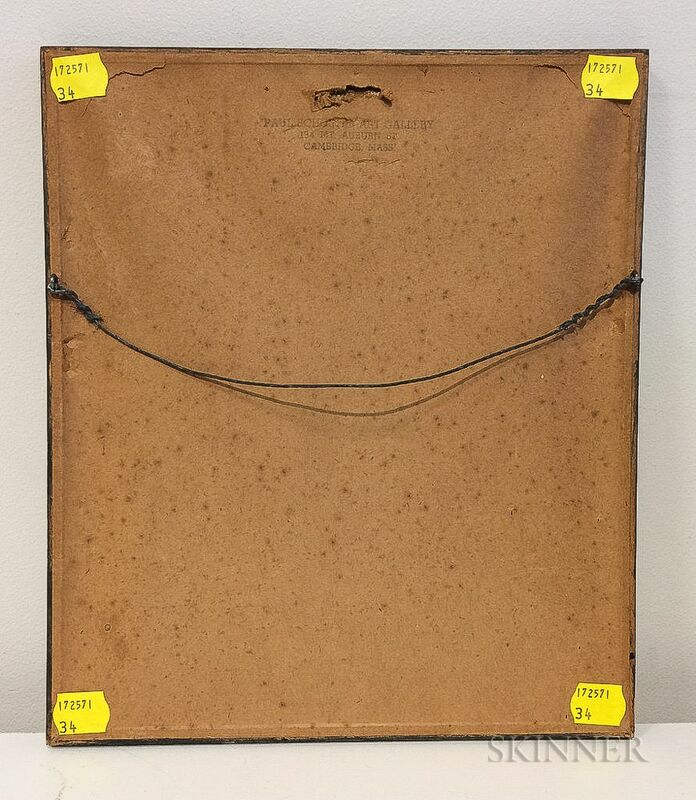 Hinged to window mat in two places at the top edge of the verso.